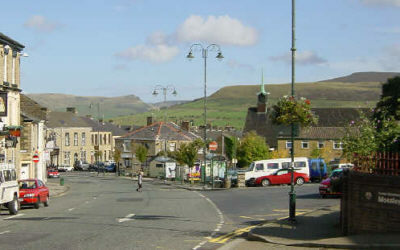 The area of Mossley around the Market Place and Brookbottom is known locally as "Top Mossley". 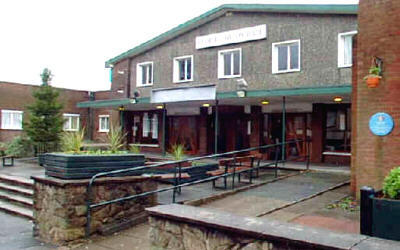 The entrance to the George Lawton Hall, Mossley, a public hall of which the town is proud. 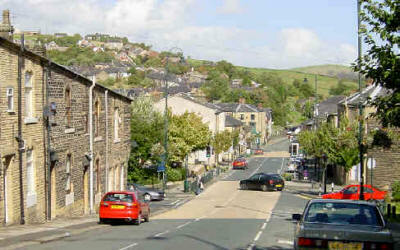 The view looking down Quick Edge Road, Mossley. 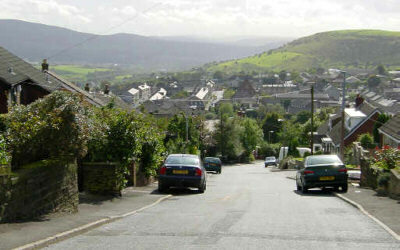 Carrhill Road, Mossley, with the rugged skyline above Greenfield in the distance. 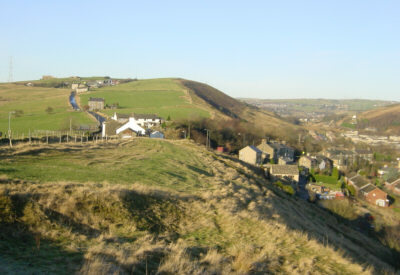 Mossley Cross, where the road from Ashton under Lyne to Mossley crosses the ridge between the two towns. 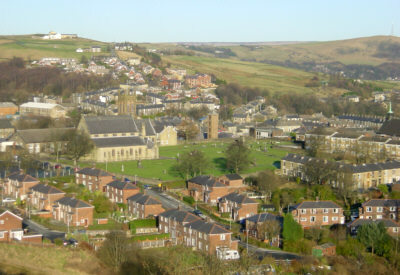 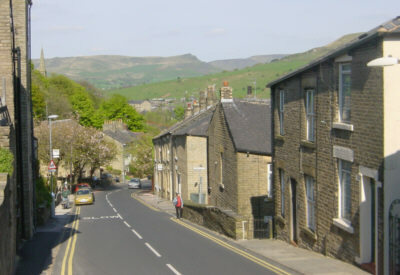 Top Mossley from Luzley Road, with St George's Church (left of centre). 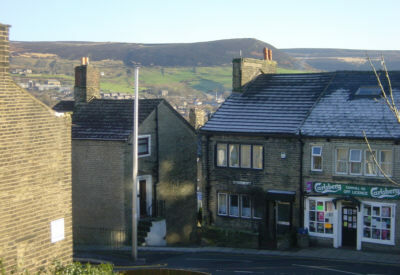 The western end of Carrhill Road, seen from Sandbed Lane steps.